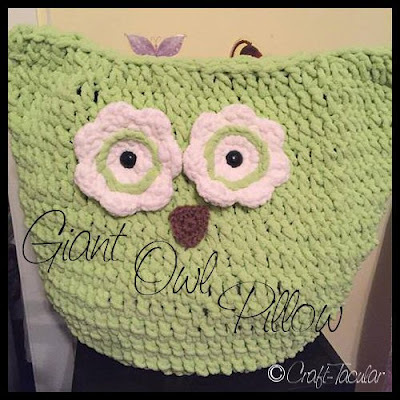 Craft-Tacular: Giant Owl Pillow, 100th post and a Giveaway!!! Giant Owl Pillow, 100th post and a Giveaway!!! So first, um, YAY it's my 100th post on this blog! I'm so happy to still be posting and using this blog. It may not be as much as I used to or as much as I'd like but I'm still here! So now that I've gotten that out of the way I will get to the project and at the end of the post I will talk quickly about the giveaway! Ok, so how adorable is this pillow??? I found the pattern on Repeat Crafter Me a few weeks ago and I fell in love with this project. My youngest daughter's room has an owl theme so it was perfect for her. And of course her older sister wanted one too so they both have one, and BONUS- for the stuffing, instead of using old sheets like the designer did, I used my girls' old receiving blankets! I had a ton of them and they were just sitting in a drawer, So not only is this pillow soft, cuddly and WASHABLE, it's also sentimental because the stuffing is made from their old baby things. I absolutely love the pattern. It was super easy to follow and each one can be made in a few hours. Yay for owls! Oh! And I almost forgot, I used giant craft eyes instead of sewing on buttons for the eyes. Now, on to the giveaway!!!! 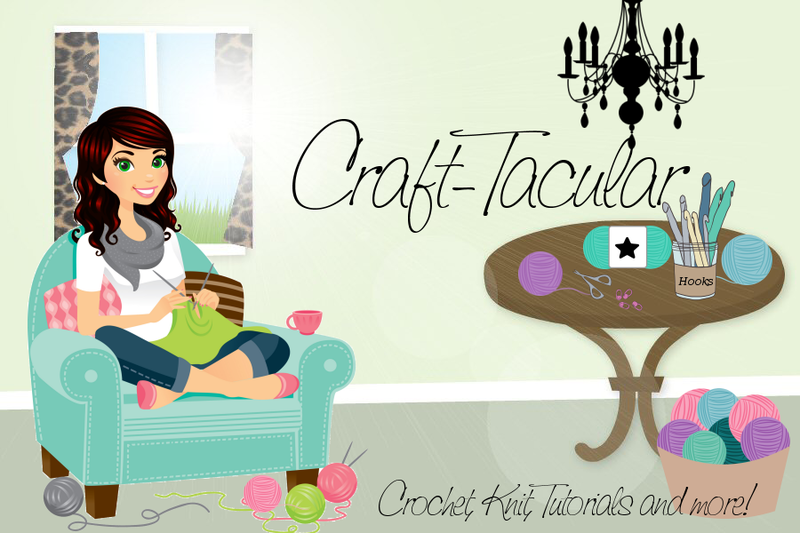 I've decided to giveaway not one but TWO prizes to this contest's grand prize winner! The terms are simple, if you're not a fan already on Facebook, go ahead and "Like my page"
For additional entries you can comment on this blog post and tell me who you would make this project for. The grand prizes are two items that I couldn't have made this project without. A Tally counter, and my favorite thing of all, a Clover Armour Hook. But not just any one, THE one you need to make this pillow, the L/8.00mm size hook. 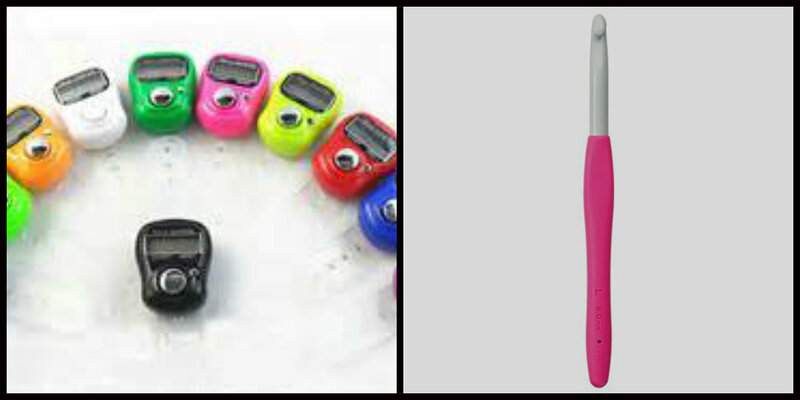 There will be 3 other winners who will each receive a tally counter! The contest will run from April 21-April 28. Good Luck and Happy Crafting! I found you through facebook and I can't wait to look around. I would love a chance to win a clover hook (it would be my very first) Thank you for the opportunity. I'd make one for my daughter's room, our living room and one for me! A friend bought a giant owl that I've used as a pillow many times. Can't wait to give this pattern a try!